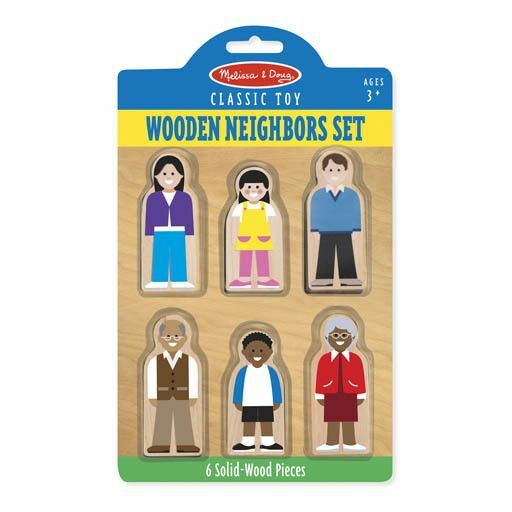 It’s always easy to make new friends with the Wooden Neighbors Set from Melissa & Doug. 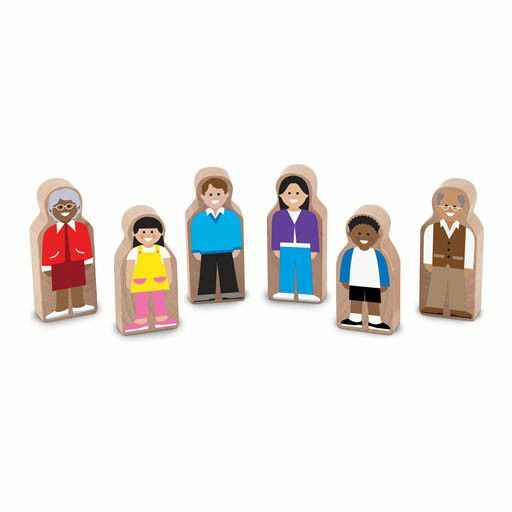 This classic toy encourages children to build stories and explore personalities and relationships. Each of the six pieces is made of solid wood and features bright colors on both sides. 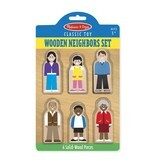 Melissa & Doug toys are designed to nurture creativity and imagination. From classic wooden toys to creative crafts, pretend play, and games, Melissa & Doug's products inspire exploration and enrich children's lives in a way that's as engaging as playtime itself! Since the Company's founding more than 25 years ago, Melissa & Doug has consistently delivered innovative children’s products with a commitment to uncompromising quality, safety, service and value. Well-designed, durable playthings should be accessible to all, and Melissa & Doug strives to foster wonder and a lifelong love of learning in children throughout the world.